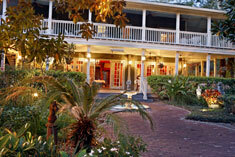 Settle into one of 25 hotel accommodations at the Courtyard at Lake Lucerne. Our accommodations are comprised of 3 historic homes ranging from charming Victorian rooms, spacious corporate accommodations and romantic getaway suites with double whirlpool tubs. The I.W. Phillips House offers the grace of a Southern-style house. Under the cooling breeze of ceiling fans, guests may enjoy a generous, leisurely continental breakfast on our veranda overlooking the courtyard. The first-floor reception room boasts an 18th-century Flemish oil painting, rich oriental rugs, and a dramatic Tiffany window. Three luxurious upstairs suites, furnished with authentic antiques, open out through French doors to verandas with 1920s wicker chairs overlooking the brick courtyard garden. Double tubs in two suites and a whirlpool in the honeymoon suite provide luxurious relaxation. 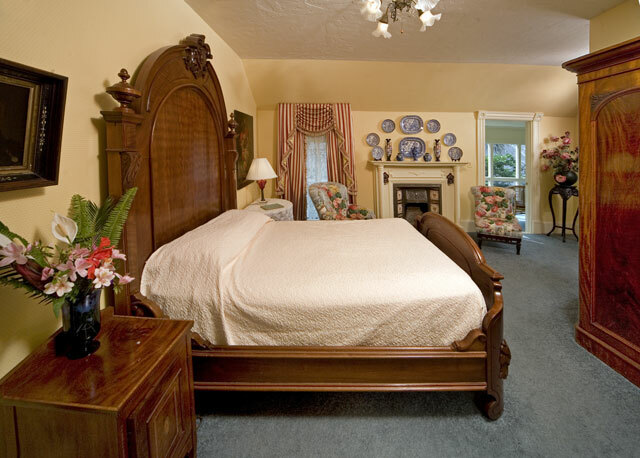 All rooms feature elegant Edwardian furnishings and charming décor. Start the day with our complimentary continental breakfast buffet, and end it with a complimentary cocktail or carafe of wine at the hotel. If you’re traveling on business, our high-speed WiFi Internet access lets you stay productive, and free parking offers added convenience. 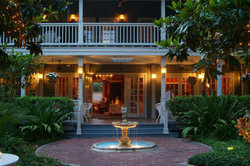 Furnished with English and American antiques. Rooms come with either queen or double bed. All have private baths and have sitting rooms. 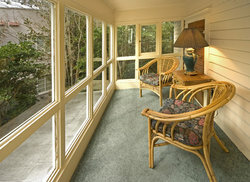 Some rooms have clawfoot bathtubs and access to an upstairs porch that overlooks the Courtyard. The Norment Parry is not suitable for children. Also comes with complimentary cocktails from 6-7pm, free parking, free WIFI, and breakfast each morning. Queen or King bed. 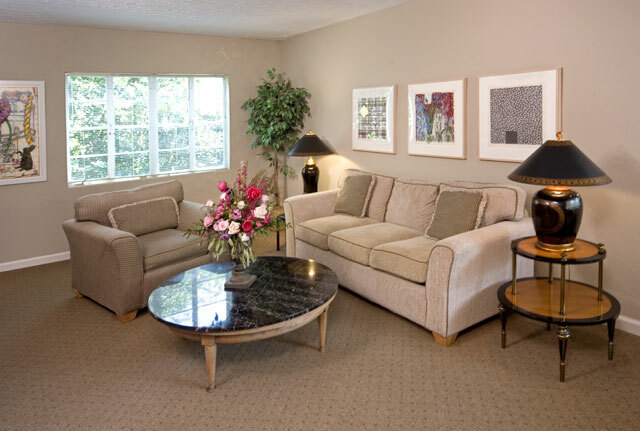 Suites are very spacious and have a living room, bedroom, private bath, large desk/workspace, and kitchenette. The room also comes with expanded continental breakfast, cocktail hour from 6-7pm, free parking, and complimentary WIFI. A luxurious suite with King bed and double Whirlpool tub surrounded by glass block. The room also has a wet bar with fridge, sink, and coffeemaker. Room also comes with expanded continental breakfast, cocktail hour from 6-7pm, and complimentary WIFI.